Hey there! :) Today, I’m going to talk, briefly, about the supplies needed to have a good amigurumi experience. So, if you are new to amigurumi and don’t know what you need to start, this lesson is for you :D However, you shouldn’t be in a hurry to buy everything that I will explain here! In the right time, gradually, you should acquire what is necessary to do your work, which will be different depending of what you are crocheting. Generally, the patterns specify what you will need. The crochet hook is very characteristic, because it has a hook at one end, which is used to draw thread through knotted loops. It comes in many sizes and, also, in a wide range of materials, including aluminium, bamboo, plastic and others. There is the basic crochet hook, which is the most used and, generally, it is made of aluminium. 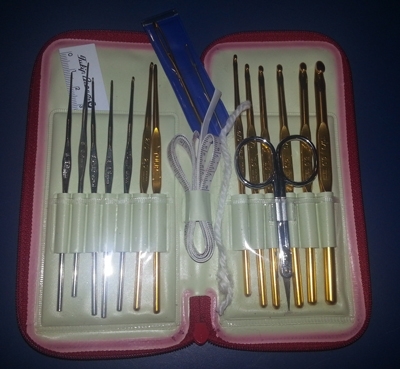 However, there are some special crochet hooks, like the afgan crochet hook, which is longer than a traditional crochet hook and is intended to accommodate a large number of active loops; also, there is the bamboo crochet hook, which is lighter than the others crochet hooks, what helps to extend the crocheting time and void hand fatigue, besides, it is said by many crochet instructors that they are better for beginners, because they don’t feel as slick as other crochet hooks. So, there are many kind of hooks, it is up to you to choose one ^^ If you don’t know which one to choose, just go to the basic. Remember that it is only necessary one crochet hook to do your work. Although, It is recommended to have crochet hooks from different sizes, because each work will use an specific size of hook. For example, in most of my works I use a 4mm crochet hook, but, when I want to do something very small I need to use a smaller crochet hook. As you can see, the size of the crochet hook will influence the size of your work, so if you want something bigger, you should use a bigger size of crochet hook. There are many types of yarn, they vary on the type of of fibre and thickness. Some yarns are made of natural fibers, others from synthetic fibers and some are a blend of those two types, which will influence in its texture and weight. Also, the yarns vary in its thickness, which will influence on its size and weight. 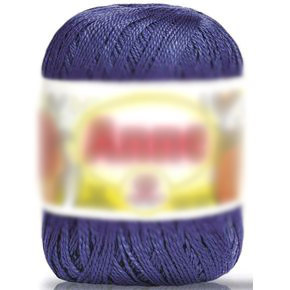 For amigurumis it is most common to use a thick yarn, like acrylic yarn or wool. Although, if you are planning to do a very small amigurumi, it will be better to use a thinner kind of yarn, because the size of the yarn it will influence the size of your work. It is important to cut the yarn when you finish some part of the amigurumi. The tapestry needle it is bigger than the normal needle used to sew. It has a blunt tip and a large oval-shaped eye. It is necessary to sew the parts of the amigurumi together. This is a very important item! It will help you to mark the first stitch or any other desired stitch of your row/round, preventing you to get lost. You can use anything to mark, like a piece of a different color of yarn. It is very important to help you to measure the size of any part of your amigurumi. Basically, you can stuff your amigurumi with anything, like journal, yarn and others. However, I do not recommend you to do so, because they don’t give a good shape to your amigurumi. Felt it is not an essential material to do an amigurumi, but, it is very commonly used. 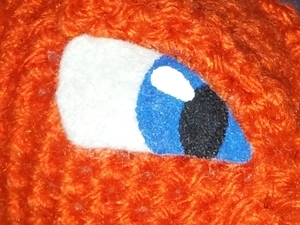 Generally, we use felt to do facial features and any others details of the character. It is good to have some variety of felts of different colors at your home. This is a very important material if you are going to use felt or any other material that needs to be glued to the amigurumi. There are many kinds of glue, it is up to you to choose one. 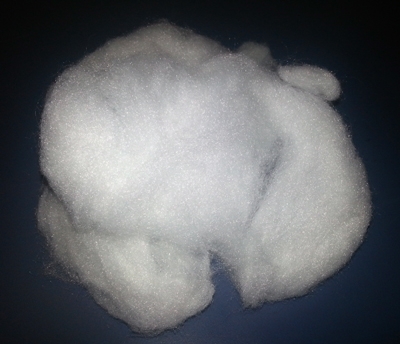 Some people like to use fabric glue, but I don’t like it, because when I tried to use it, it didn’t work very well. I like to use a flexible transparent contact glue, which is recommended for gluing leather, fabric, acrylic, plastic and other materials. Olá Ana Amélia, parabéns pelo belíssimo trabalho. muito lindo mesmo e com perfeição. vi que você mora no Brasil, e gostaria de saber, se você tem a receita do charizard traduzida em português, pois só achei os vídeos que ensinam a fazer a cabeça dele. Hi, Mia. I’m surprised for your job. You’re great!! I was trying to understand your instructions but I can’t get some of the abbreviations (I speak in Spanish, so some words are unknown for me) Are there any references? For example for the “sc” or the “hdc”. I guess the “ch” is for chain, right? I’ll wait for your answer because I really really want to do some of your amigurumis!! !